The Scottish Rite has scholarships to help people become better through their pursuit of knowledge. The scholarship may be granted and may continue for as long as the recipient is enrolled as a full-time undergraduate student at an accredited college or university. However, it will be terminated at the end of the semester during which the recipient’s cumulative grade point average is not a B or higher. It may also be terminated if the recipient changes institutions or his/her program without consent. A scholarship recipient desiring to renew his/her scholarship for the ensuing year must forward to the scholarship chairman a letter of intent declaring his/her desire to continue as a scholarship recipient. This information must be submitted by April 1st and must be accompanied by the most recent transcript available. Scholarship awarded will be forwarded to the student’s college or university to be credited to his/her account. This application, official high school or college transcript, and letters of recommendation must be received by April 1st of the year in which the application is made. The aforementioned documents will become the property of the Scottish Rite. The application covers all the scholarships listed below. Each has unique qualifications. The completed application, official transcript(s) and letters of recommendation should be forwarded to the address at the bottom of the page. Grand Lodge of A.F. & A.M. of Illinois: Masonic relationship is required. The applicant must have a father or grandfather who is (or was at the time of his death) a member in good standing as an Illinois Master Mason. The applicant does not have to be a resident of Illinois. Robert B. Perkins: Masonic relationship is required. The applicant must have a father, grandfather, brother, or uncle who is (or was, if deceased) a member in good standing of an Illinois Scottish Rite Valley. There is no restriction regarding the recipient’s course of study. Louis L. Williams: Masonic relationship is required. The applicant must have a father, grandfather, brother, or uncle who is (or was, if deceased) a member in good standing of an Illinois Scottish Rite Valley. The applicant must attend Illinois Wesleyan University in Bloomington, Illinois. There is no restriction regarding the recipient’s course of study. Abbott Scholarship: Named for Leon M. Abbott, Sovereign Grand Commander (1921-1932). The Abbott Scholarship Program provides financial support for the continuing undergraduate and graduate education of Scottish Rite Masons, young men and women from Scottish Rite families, and Masonic-related youth groups. 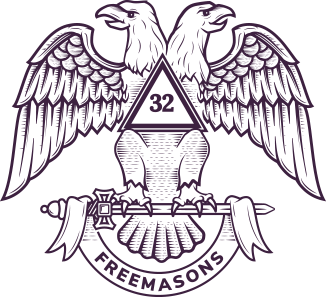 The applicant must be a child of a Scottish Rite Mason in the Northern Masonic Jurisdiction. Additional consideration will be given for members of a youth organization (DeMolay, Rainbow, Job’s Daughters) sponsored by the Masonic fraternity in the Northern Masonic Jurisdiction. The recipient must be an undergraduate student attending an accredited college or university for the upcoming academic year. While all other scholarships require a B average, The Abbott has a minimum GPA of 2.75 on a 4.0 grade scale. Health Career Fields: Masonic relationship is not required. The recipient must intend to enter the field of health care. Health care includes (but is not limited to) nursing, physical or occupational therapy, radiology, anesthesiology, etc. Sherwood and Evelyn Kresin: Masonic relationship is not required. This scholarship has an exception for the “undergraduate only” restriction. The recipient may be in an undergraduate or a graduate course of study. There is no restriction regarding the recipient’s course of study. 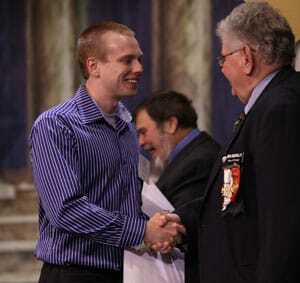 Colville Wilson Scholarship:The Wilson Scholarship is open to the public. Masonic relationship is not required. To qualify, the applicant must be pursuing a graduate degree in nursing or health services for children in the State of Illinois. There is a separate application for this scholarship. Applicants must be a graduate student in the health care field relating to children’s health and must reside in the State of Illinois.